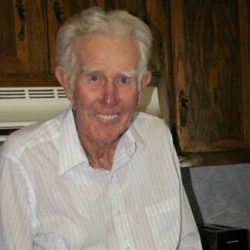 CHURCH HILL – Everette Ray Marshall, 94, passed away on Tuesday, December 4, 2018 at his residence. Everette was a lifelong resident of Hawkins County. He retired from Alley’s Motor Company after serving as a Shop Foreman Mechanic. Everette was of the Baptist faith & was a deacon at Mt. Vernon Baptist Church. He was preceded in death by his wife, Norma Jean Marshall; parents, Lesley and Stella Ruth Calton Marshall; step-mother, Myrtle Marshall; sisters, Alice Thompson, Hazel Bingham, and Mary Light; brothers, Mack Marshall, Fred Marshall, and Ralph Marshall; daughter-in-law, Diane Marshall. 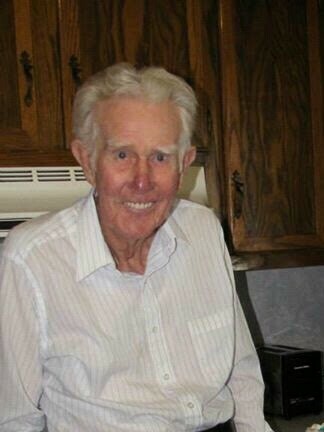 Everette is survived by his sons, Danny Marshall and Roger Marshall (Waynette); grandchildren, Kristie Dunn, Candace Marshall, and Ryan Marshall (Brandy); great grandchildren, Matthew Dunn, fiancée Carlie, Kirkland Dunn, Gabe Marshall, Adlee Seals, and Parker Marshall; sister, Inez Housewright; several nieces and nephews. A visitation will be held from 5:00 – 7:00 PM on Friday, December 7, 2018 at the Johnson-Arrowood Funeral Home. A funeral service will be conducted at 7:00 PM in the funeral home chapel with Rev. Billy Linkous and Rev. Andy Sensabaugh officiating. A graveside will be held at 10:00 AM on Saturday, December 8 at Elm Springs Cemetery. Those wishing to attend the graveside service are asked to meet at the funeral home by 9:00 AM to go in procession. Pallbearers will be family and friends. Johnson-Arrowood Funeral Home is honored to serve the Marshall family.